Jeff Gundlachs plan to launch a DoubleLine bond ETF will bring new competition to PIMCOs Total Return. Will Gundlach announce an ETF based on DoubleLine's Total Return Bond Fund at the Inside ETFs conference? Although investors saw heavy outflows from PIMCO Total Return bond funds after Bill Gross’ departure from the firm last year, experts say investors in the exchange-traded fund space could see healthy inflows into bond ETFs in 2015. Investors are likely to be attracted to bond ETFs, partly because the overall ETF market keeps getting bigger, the experts say. In addition, the funds will flow in as PIMCO archrival DoubleLine prepares to launch an actively managed ETF that focuses on total returns. Soon, advisors will be faced with the question of choosing between DoubleLine and PIMCO, according to Hougan. On Sept. 26, PIMCO co-founder Gross departed the firm for Janus, and the PIMCO Total Return mutual fund and ETF both started to see large outflows. According to data from Morningstar Inc., the PIMCO Total Return mutual fund lost $17.9 billion of estimated net flow in September, $32.3 billion in October and $9.7 billion in November, while the actively managed ETF lost $631 million in September, $437 million in October and $66 million in November. The mutual fund’s total net assets dropped from $237 billion in January 2014 to $143 billion by December; the ETF’s assets dropped from $3.5 billion in January to $2.4 billion in December. In contrast to the PIMCO Total Return outflows, the DoubleLine Total Return mutual fund saw net inflows of about $804 million in November 2014, Morningstar said. The DoubleLine fund had almost $39 billion in total assets in November. This year, Gundlach predicts that the benchmark 10-year Treasury yield may drop to 1%, which would lead to an increase in both bond prices and ETF yields, Reuters reported. If yields do indeed drop, investors in bond ETFs will be rewarded as they take on risk, said Todd Rosenbluth, director of ETF and mutual fund research, S&P Capital IQ, who added that his group expects interest rates to rise in 2015. “We are encouraging investors to look for shorter-term products that are less interest-rate sensitive,” Rosenbluth said. “Costs matter more in a potentially rising interest rate environment. If bonds are flat or decrease in value, paying a lot doesn’t make sense. That’s where low-cost ETFs come in.” For short-term fixed-income ETF plays, S&P Capital IQ likes the Vanguard Short-Term Bond ETF (BSV), which is cheap at an expense ratio of only 10 basis points while yielding only approximately 1%, and State Street’s SPDR Barclays Short-Term High Yield Bond ETF (SJNK), a higher-income alternative yielding approximately 6%. Over the past 30 years, fixed-income investing for advisors “has been like shooting fish in a barrel,” as interest rates declined, Hougan said. But in 2015, he said, many market watchers assume rates will keep going up, and that will create more volatility. While bond ETFs will certainly give advisors plenty of options to consider in 2015 — there are now more than 200 fixed-income ETFs listed among the 1,600 ETFs in Morningstar’s ETF screener — they can’t be expected to perform in lockstep with one another, Hougan noted. 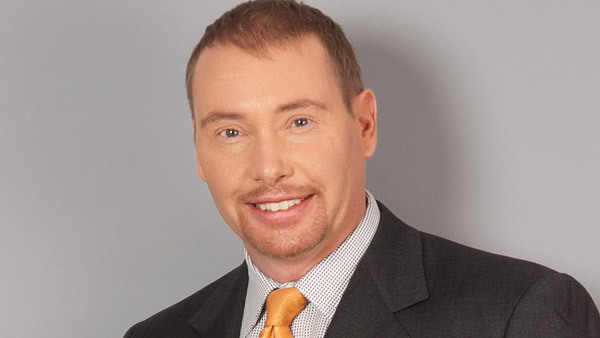 — Check out Gundlach: Low Oil Prices Mean ‘Collapse’ in Hiring, Spending on ThinkAdvisor.